A game about fashion, travel and everyday magic. You are mages who draw power from fabric, threads and garments.As a coming-of-age rite you're travelling the world. You'll visit new cultures, find out why they value the fashion they do, and summon the spirits of garments to learn magical secrets. You're only novices, and things won't always go well. You might fall in love, get involved in local politics, or overindulge at a festival. When you summon spirits, be careful. You might twist them into a rampaging monster, or destroy the culture's relationship with the garment. What right do you have to power? Weave is a diceless storytelling game for two or more players. To play, you'll just need some paper, character sheets, some crayons/pens, and a few hours to play through an episode of your journey. 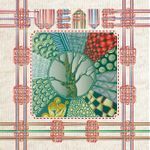 [Weave] is a story game about novices in a magical tradition that draws power from fabric, garments and the symbolic power people invest in them. As a coming of age rite you’re sent out into the world to explore its different societies, find what they value and what their fashion signifies, and craft garments and glyphs that express that culture’s magic.